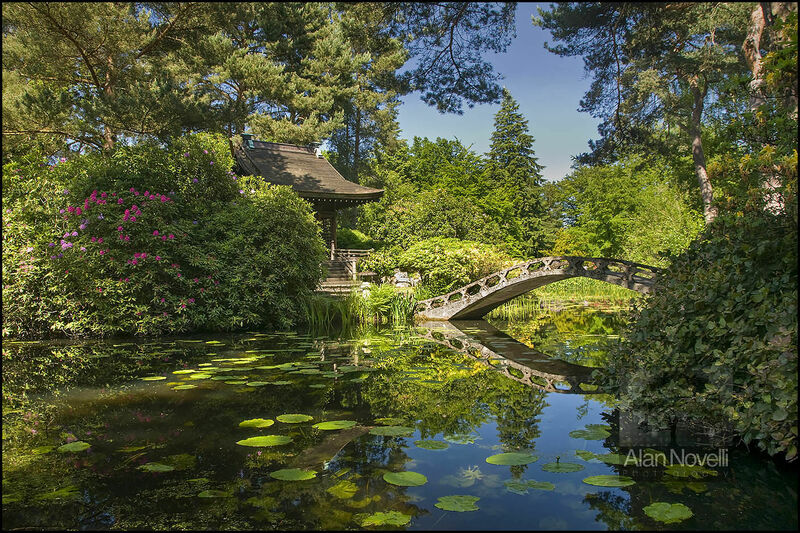 This tranquil image was captured in The Japanese Garden at Tatton Park in Cheshire. A polariser has been used to saturate the colours and subdue the reflections. The garden is designed in the style of a 'tea-garden' and the Shinto Shrine seen here and artefacts contained within the garden are all reputed to have been brought from Japan especially for the construction of the garden.